Learn how to make your own air freshening spray using deodorizing ingredients that clean and refresh! Made with Lemon, Pine, and Tea Tree essential oils---your home has never smelled so fresh and clean! I'm not all the way there yet (hello, shampoo? ), and we are getting there, with just a few things left to go. It's amazing the great feeling I have when I walk through a grocery store and don't need to go down so many aisles now. It's truly empowering to know I can make or grow most of my own items, save money, AND the quality of the things I make myself is SO much better! NOTE: You can increase the drops of essential oils if you want more scent and cleaning power. **For a proven Purifying Essential Oil Blend great for air and fabric freshening, go HERE. 1. Mix all the ingredients in a pint size Mason jar or spray bottle. 3. Shake and spray the cleaner on surfaces in your home and car. This is also a lightweight cleaner for non porous surfaces. Keep away from wood! Just spray and wipe! If you use it to freshen sofas and fabrics, the vinegar smell will dissipate, leaving just freshness! Just follow all the directions above, EXCEPT substitute the vodka for vinegar. The vodka will also help kill bacteria while helping the essential oils disperse. Vodka doesn't have a scent, so for the air freshener, I prefer the vodka. Just remember to give it a little shake first! That's it! Hugs & Self-Reliance! It's a journey! P.S. The essential oils mentioned above have freshening and cleaning properties, neutralizing odors and aiding in destroying illness causing agents. P.S.S. A note about the Mason jar size I chose--- I usually use quart size wide mouth jars for everything, but for the spray bottle I used a pint size regular mouth jar. It's the perfect little spray bottle, and the essential oils don't degrade the glass. It turned out to be lightweight, and it looks nice on my countertop too! 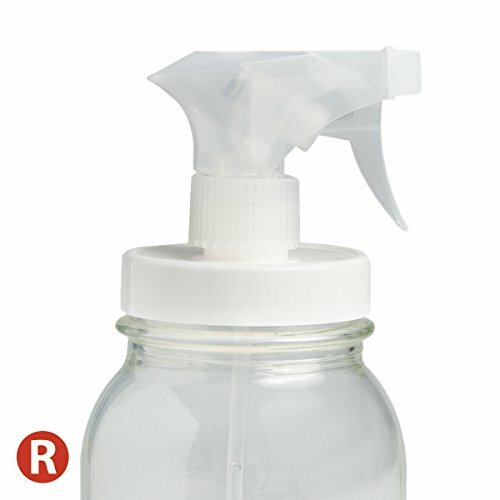 Here is a link to the Mason jar size I think is best for the spray. 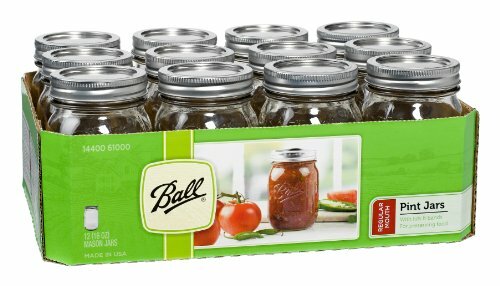 These pint size jars are lightweight, and yet they still hold enough liquid to last quite awhile! This is the size jar I recommend using for cleaning sprays. It's small enough for your hands, yet holds up to 2 cups of liquid! Do you have a favorite recipe for an air freshener or cleaner? I'd love for you to share! Please leave a comment below.